Sudocrem Antiseptic Healing Cream is versatile enough for the whole family to use for all of life’s little dramas and can help with so much more than just treating babies’ bottoms! Sudocrem is clinically proven to soothe and heal your baby’s delicate skin and works in three simple ways: an emollient soothes sore or inflamed skin. Ingredients known for their healing properties. Furthermore, a mild local anaesthetic helps to ease pain and irritation. Sudocrem provides gentle yet effective relief from cuts, grazes and minor burns. It helps to heal wounds by forming a protective layer over the vulnerable area. Reduces the risk of infection, and also contains a mild local anaesthetic to soothe discomfort. Sudocrem Antiseptic Healing Cream is the nation’s favourite nappy rash cream but did you know it is also excellent for treating skin conditions such as acne? Sudocrem Antiseptic Healing Cream helps to soothe and heal while protecting the affected area from further infection. A water-repellent excipient base, including paraffin and other waxes, creates a protective seal. All KidStart members can WIN one out of five Sudocrem summer goody bags. To enter the competition for one of these goody bags, just Tweet below to enter into the prize draw. 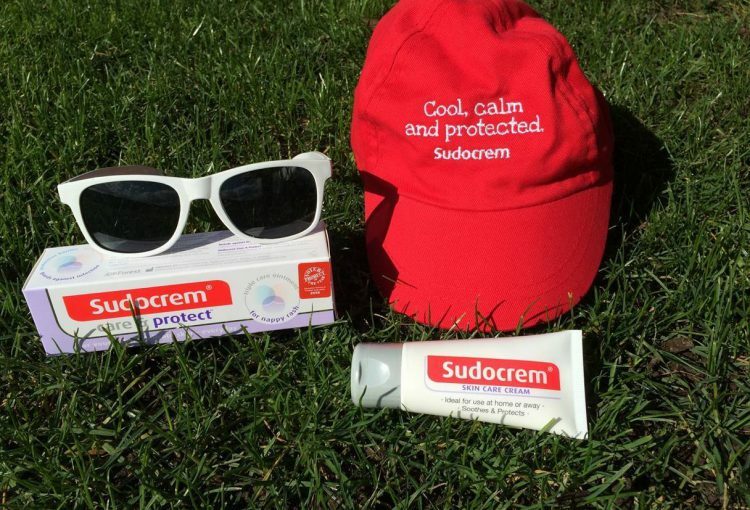 Plus, remember to take a look at Sudocrem’s Facebook competition on their page too. As you could win iPad minis, Kindles and much, much more! What does the goody bag contain?